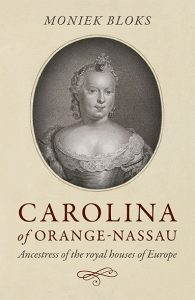 Carolina of Orange-Nassau (1743 – 1787) was born the daughter of William IV, Prince of Orange, and Anne, Princess Royal and was thus the granddaughter of King George II. It was upon the King’s orders that she was named after his wife, Caroline of Ansbach. She was the first of Anne and William’s children to survive to adulthood. 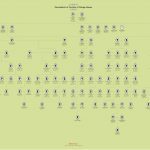 When her father was at last made stadtholder of all seven united provinces, Carolina was included in the line of succession, in the event she had no brothers. A brother was eventually born, but due to his weak health, she remained an important figure. Carolina married Charles Christian of Nassau-Weilburg and suffered the loss of half her children, either in childbirth or infancy. Despite this, she acted as regent for her minor brother while heavily pregnant and remained devoted to him and the Dutch republic. 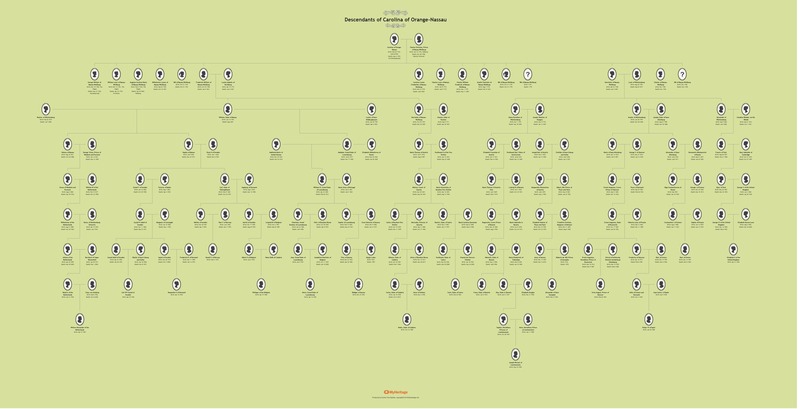 Her children married well and her descendants sit upon the royal thrones of Europe, truly making her a grandmother of Europe.